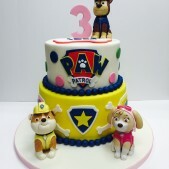 Paw Patrol, Paw Patrol, whenever you’re in trouble…Paw Patrol Paw Patrol…we’ll be there on the double! 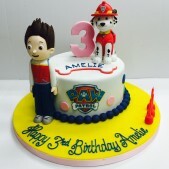 Does your little one sing along to the above lines incessantly? 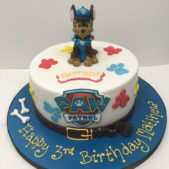 Do you spend your time wondering why Mayor Goodway has a pet chicken? 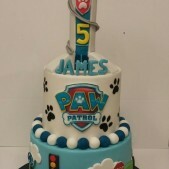 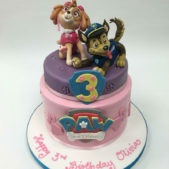 Us too but this doesn’t get in the way of the fact that Paw Patrol is one of the most popular cake requests we are receiving at the moment and we love making all the characters. 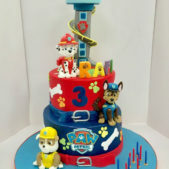 Whether your child is a massive fan of Marshall, Skye or Rubble, we are the place to come for a stunning cake creation. 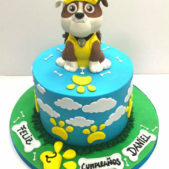 Any and all requests are happily received and accomodated!